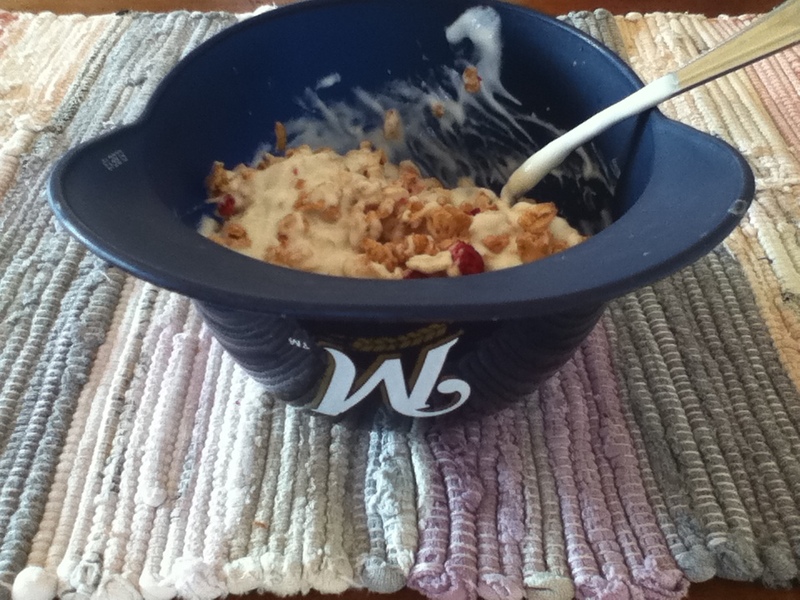 This mini Brewer helmet used to have delicious cheese fries in it. Now it’s got my breakfast cereal. We hoped you liked reading Everything’s Amazing, At Least One of Us Is Happy by Carson Cistulli!